← Last Day to Vote in RI Monthly’s “Best of RI” Poll + Upcoming Tasting with Möet et Chandon! Father’s Day Gift Ideas and Upcoming Events! With Father’s Day fast approaching, are you still stumped on what to get dear old dad? 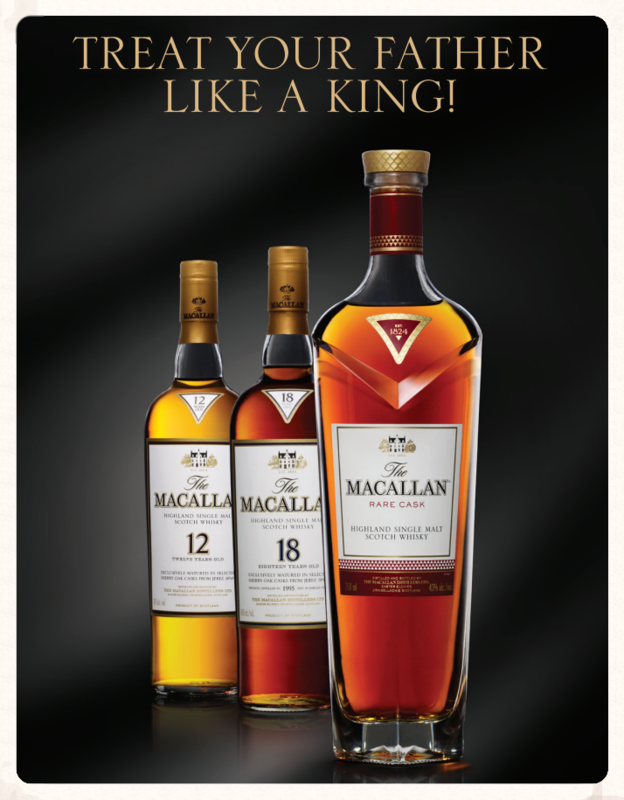 Perhaps you should consider shopping our selection of great whiskies! If dad’s not a big fan of whiskey, find below a list of our top picks for wine – or stop in and ask for a personal recommendation! Don’t forget to check out our craft beer offerings as well! Looking for cigars, too? We’ve just restocked our case with some of our favorite fine cigars! You’ll be sure to find something for dad here at Bellevue Wine & Spirits. Save the Date! Tasting with Smith-Madrone, The Daily Meal’s 2014 Winery of the Year, on Wednesday, June 24, from 5-7pm.Stu Smith founded Smith-Madrone 45 years ago on top of Spring Mountain (in St. Helena, of northern Napa Valley), and it is an entirely estate-vineyard winery, meaning that it only uses grapes produced there. Stu is considered a pioneer in dry farming, which has become a â€˜hotâ€™ topic, given Californiaâ€™s drought situation. You can learn a bit more about Stu’s approach by watching these Youtube videos: one, two. As always, you must make a reservation to attend; please do so by either calling the store (401.846.7993) or by replying to this e-mail. There will be a small fee of $5 to attend the tasting, which can be applied to any in-store purchase. More details to follow. We hope you’ll join us!